One of the top complaints that dermatologists receive from patients is that they have unwanted wrinkles, hollows, or sagging that make them look and feel Fillersolder. Clyde NC area patients who are desperate for a solution for age lines, frown lines and wrinkles in the skin may find it in dermal fillers at Blue Ridge Dermatology. Learn more about this treatment and how it can make you look many years younger. A filler is a product (usually a liquid or gel) that is injected into the skin to soften and markedly diminish areas of volume loss. Volume loss is a major factor in sagging, wrinkling or creating non-youthful aging of the face. The filler may be a variant of hyaluronic acid and depending on its cross-linking may be short-acting or long-acting. There are other substances used in fillers such as a poly-L-lactic acid (Sculptra) and calcium hydroxylapatite (Radiesse). A filler is chosen based on the facial areas that need to be corrected, the patient's desires and budget, and the doctor's experience with the various fillers. Most fillers produce an immediate smoothing and volume replacement effect consistent with how a patient looked in pictures when they were younger. Some fillers don't have an immediate effect but may stimulate new collagen that can last much longer than temporary fillers. Some fillers have an immediate volume effect as well as a delayed tissue stimulation effect. Side effects (such as bruising) from fillers can be minimized and avoided by ensuring that you receive your treatment from an experienced, board-certified dermatologist. Patients often report that dermal fillers have lasting results. Temporary collagen fillers can last for up to four months without needing to be refreshed. 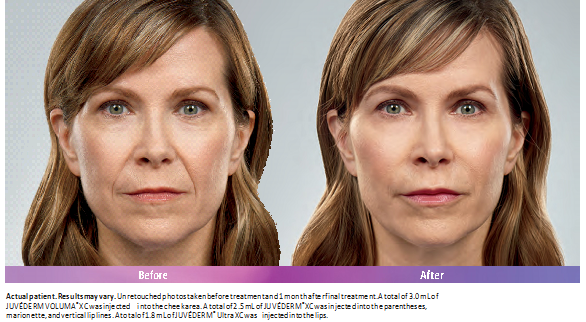 Hyaluronic acid fillers can last up to 12 months. Other solutions, such as Sculptra, have been developed that can maintain smoother skin for up to two years. Santa Monica Dermatology Group is a professional skin care practice located in Santa Monica, CA that has offered a variety of fillers for years. Dr. Adriana N. Schmidt, M.D., FAAD is a certified dermatologist who is recognized by a long list of organizations, including the American Academy of Dermatology, the American Medical Association, the Los Angeles County Medical Association, and the North American Hair Research Foundation. Tereasa North-Sweeny, R.N., is an experienced aesthetic nurse who has performed over 5000 procedures. 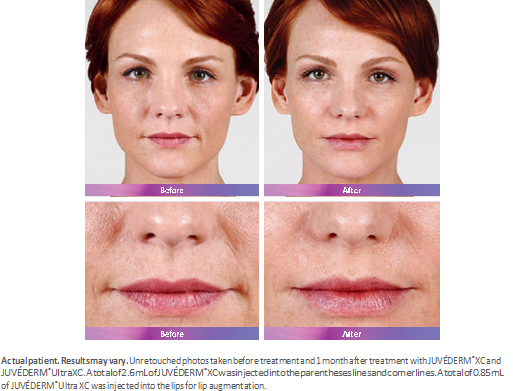 For more information on fillers in the Santa Monica, CA call Santa Monica Dermatology Group at (310) 829-4484 today!